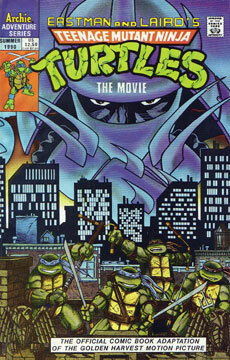 Mirage Studios’ adaptation of the first TMNT movie. 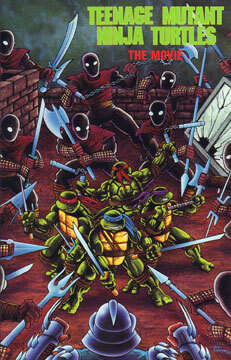 Two editions were published, one in regular comic book format, and a “prestige” format that was printed on better quality paper and featured painted coloring by Steve Lavigne on the interior pages. The sample images below are taken from the regular format.